Students who have a passion for languages, love to read, and enjoy sharing ideas with people, can consider a career in teaching or public relations. Teachers of the English language have the opportunity to travel overseas to countries like Japan, China, Taiwan, South Korea, and others to teach where you can get pretty high salaries. If you do not like teaching, with a good command of the English language, you can work as a PR Manager where you will write press releases, copy for brochures and ads, design ad campaigns, organise events, and set media strategies. Students after SPM or O-Levels may go for the Foundation in Arts at a top private university in Malaysia for 1 year before continuing on to the 3-year Teaching English as a Second Language (TESL). Pre-University students with the relevant results in STPM, A-Levels, SAM, CPU, AUSMAT, etc. can enter directly into Year 1 of the degree programme. for one year before continuing on to the B.Ed. TESL (Hons) degree. English is the main language used for commerce, science, communications and technology. Most of the world’s knowledge is stored in this language. Malaysians have an advantage in developing these fields if they are familiar with the language in which the greatest amount of research is written. Furthermore, the standard of English has gone down in Malaysia and many parents are concerned about making sure that their children getting a good command of the English language. This means that TESL graduates are in demand for work in universities, schools, colleges, tuition centres, language centres and even opening up your own language centre. In countries where English is not the mother tongue like Malaysia, learning English has become not only necessary but essential. It is the most widely used language all over the world today and it is also the INTERNET language. Certainly when one is well-versed in the English language, the information world is open wide for knowledge exploration and for keeping in touch with the latest developments. This B.Ed. 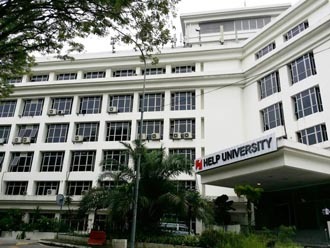 TESL (Hons) program at HELP University will arm the graduates with the necessary knowledge and skills needed to effectively teach English as a Second Language. 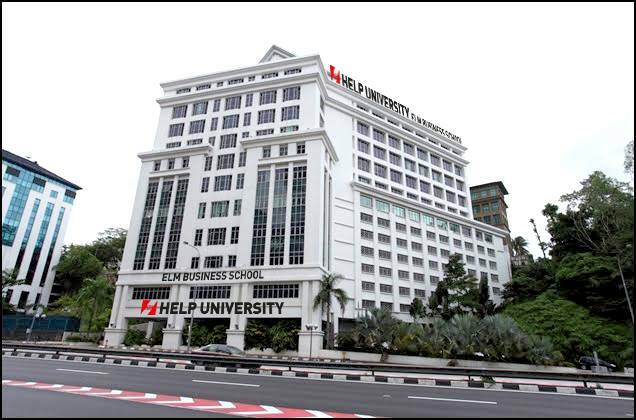 HELP University has a great program and a great team of lecturers to lead the participants to greater heights in acquiring teaching skills in the English language. knowledge is stored in this language. Malaysians have an advantage in developing these fields if they are familiar with the language in which the greatest amount of research is written. In countries where English is not the mother tongue like Malaysia, learning English has become not only necessary but essential. It is the most widely used language all over the world today and it is also the INTERNET language. Certainly when one is well-versed in the English language, the information world is open wide for knowledge exploration and for keeping in touch with the latest developments. This B.Ed. TESL (Hons) programme will arm the graduates with the necessary knowledge and skills needed to effectively teach English as a Second Language. We have a great programme and a great team of lecturers to lead the participants to greater heights in acquiring teaching skills in the English language. We invite all of you to join us in this Education endeavour which is exciting as well as fruitful, preparing one and all for the challenges ahead in English language acquisition and teaching in this language. The quality of education imparted by HELP University ensures that not only are its graduates preferred over others for employment by multinational companies and discerning employers in many areas of the globe, they also rapidly assume responsible leadership roles and positions. 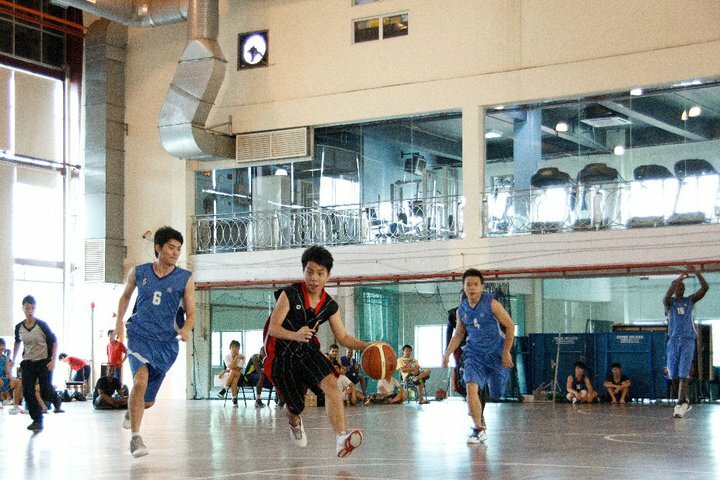 Students after SPM or O-Levels with at least 5 credits may go for the 1-year Foundation in Arts at UCSI University before continuing on to the 3-year degree. The BA (Hons) English Language and Communication (ELC) programme at UCSI University is designed to equip students who do not speak English as a first language with excellent communication capabilities for professional employment in English as a Second Language (ESL). Students who are learning English as a second or additional (foreign) language will be able to develop graduate level communicative competence in English Language, and to use English effectively. Graduate employability has been a matter of concern to governments throughout the region, thus practical applications are strongly featured in the programme, which is geared to linking theory and practice through critical reflection to build work related skills as well as sound academic knowledge. Observation and experience of work (via Co-Operative modules), inquiry & project activities are integral to the learning processes of the programme. Students in the Northern Region of Malaysia can now go for the Bachelor of Arts (Hons) in Teaching English as a Second Language at the top ranked KDU Penang University College. Students after SPM or O-Levels in can consider the 2.5-year Diploma in Professional English Communication at KDU Penang University College. Upon completion of the diploma, graduates can continue on into Year 2 of the Bachelor of Arts (Hons) in Teaching English as a Second Language degree also offered at KDU Penang. In this new information age, social media have reshaped the way people, organisations and businesses work. 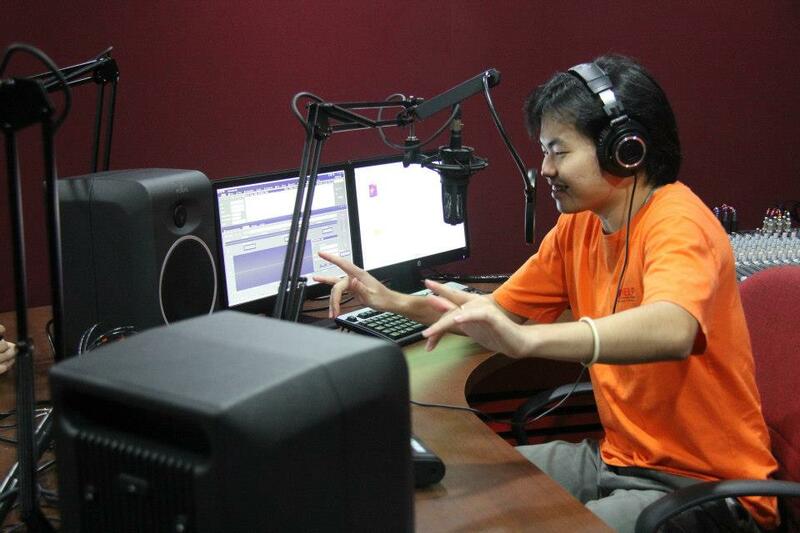 Despite the various traditional and new ways of communicating, proficient and professional English communicators are much needed to gather and effectively disseminate news. The current media industry calls for proficient English communicators who are not only good in producing effective copywriting, but also good explainers, persuaders, story tellers and thinkers. A professional English communicator can sell ideas more effectively, give better presentation to potential clients, propose new projects and convince customers of the benefits of a newly created product. The Bachelor of Arts (Hons) in Teaching English as a Second Language at KDU Penang University College is aimed at preparing students to meet the demands and challenges in the teaching profession in both public and private education institutions. Thus, it is designed for non-graduate teachers, school-leavers, and those interested in joining the teaching profession to be better equipped with a solid command of the knowledge and skills required for an educator. KDU Penang TESL graduates will not only be equipped with practical knowledge and hands-on experience needed for language teaching but also professional attitudes, good ethics and learning qualities. Aside from being a language teacher, a graduate of the TESL programme can also be a teaching material writer or editor, private tutor, international school instructor, college lecturer, language facilitator at summer programmes, online tutor, corporate trainer, programme director and academic consultant. The Bachelor of Arts (Hons) in Teaching English as a Second Language at KDU Penang University College is aimed at preparing students to meet the demands and challenges in the teaching profession in both public and private education institutions. Thus, the Teaching English as a Second Language (TESL) degree programme at KDU Penang University College is designed for non-graduate teachers, school-leavers, and those interested in joining the teaching profession to be better equipped with a solid command of the knowledge and skills required for an educator. KDU Penang University College TESL graduates will not only be equipped with practical knowledge and hands-on experience needed for language teaching but also professional attitudes, good ethics and learning qualities. Aside from being a language teacher, a graduate of this programme can also be a teaching material writer or editor, private tutor, international school instructor, college lecturer, language facilitator at summer programmes, online tutor, corporate trainer, programme director and academic consultant. Improve your spoken and written English with KDU Penang’s highly qualified, experienced and recognised TESL (Teaching English as a Second Language) trained teachers who have the knowledge and skills to support diverse learner needs in the modern teaching environment. Boost your language skills through a fun-filled curriculum as live experience is provided to enhance classroom learning. Students are given opportunities to use English language in real-life situations as they go on field trips. Drama is also incorporated into the curriculum to develop the language proficiency of our English language learners and to add to the ‘fun’ learning experience! Over the years, more than 1,200 local and international students from over 48 countries have completed the English courses at the department successfully. Your opportunity to use English language on a daily basis is increased as the university college is made up of diverse international students from over 48 countries like Japan, Thailand, Korea, Indonesia, Mongolia, the Philippines, China and more. This contributes to the richness of the environment for the teaching and learning of the language. with an English major: actor/actress, advertising copywriters, archivists, authors, biographers, book publishers, broadcasters, career counselors, child care specialists, columnists, corrective therapists, communication skills trainers, consultants, corporate communications executives, creative writers, critics, editors, ESL instructors, human resource assistants, interpreters/translators, journalists, marketing specialists, manuscript readers, mass media assistants, news reporters, proofreaders, and public relations executives.